Join us for an evening of acapella choral works to include Byrd, Holst and Rheinberger. The evening will be punctuated with poetry and readings. 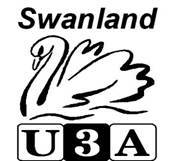 The Swanland U3A Choir was founded in 1999. Over £15,000 has since been raised for a wide range of charities locally, nationally and internationally. The choir has given concert performances of Henry Purcell's Dido and Aeneas and Gilbert and Sullivan's Trial by Jury, in both of which all solo parts were taken by choir members. The choir has appeared in four Swanland Festivals and at twinning celebrations both here and in France. They entertained the AGM of the National U3A in York in 2003 and sang for other Yorkshire U3As at regional meetings in York in 2004, 2007, and 2012. Delicious refreshments will be available before, during and after the performance by Holy Trinity's magnificent Trinity Cafe. Proceeds from this evenings concert will be donated to Holy Trinity and Emmaus.